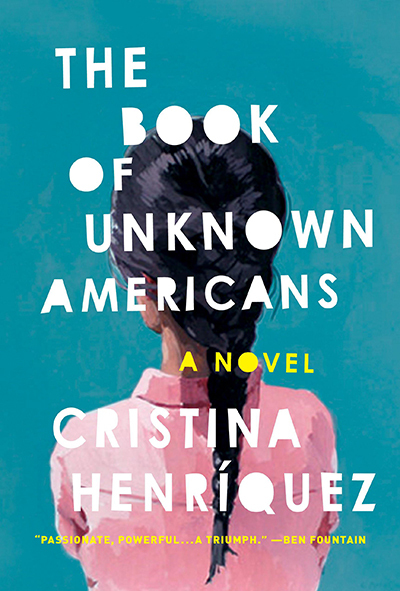 After much discussion, Somolu—one of three students on the book selection committee—said the group chose a novel that met that goal: Cristina Henríquez’ The Book of Unknown Americans. Henríquez will give a public address Monday, Sept. 4, at 3:30 p.m. in John M. Greene Hall. Book discussions in Smith houses will follow on Tuesday, Sept. 5, from 7 to 8 p.m. In a book jacket “review,” Ruth Ozeki ’80, Smith’s Elizabeth Drew Professor of English Language and Literature and a member of the book selection committee, described Henríquez’ novel as being “full of the fiercest kinds of love—of a boy for a beautiful girl, of stricken parents for an injured daughter, of an immigrant community for an impossible America.” (Ozeki’s books have twice been chosen for Smith Reads). Founded in 1999, Smith Reads is designed as a first-year reading experience for all students new to the college. Participants read the book selection before arriving on campus. At the start of fall semester, they attend a guest author’s talk, as well as faculty-led book discussions in their houses. Somolu—a self-described “science person” who spent her first year at Smith exploring art and history classes—was initially worried that participating in Smith Reads would feel like another assignment. Instead, it turned out to be a valuable way to launch her first semester. “The book discussions we had in our houses helped me hear the different perspectives people had,” said Somolu, who hails from Nigeria. Jaycee Greeley ’20—a first-generation student and a member of the 2017 Smith Reads selection committee—said the program helped introduce her to previously unknown aspects of college life. “It was cool to be reading something a professor wrote and to have her here to talk about her book,” said Greeley, referring to Ozeki, whose 2013 novel, A Tale for the Time Being, was last year’s choice for Smith Reads. This year, Greeley said the committee chose Henríquez’ novel because it addresses important issues in a way that might also motivate readers to act. “We didn’t want this to be a book that people would open and then just toss aside,” she said.